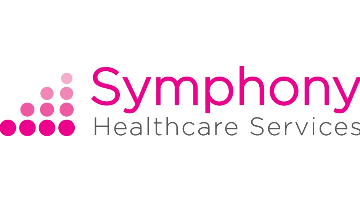 We were established in 2016 as part of the award winning Symphony Programme Vanguard (BMJ Awards Primary Care Team of the Year 2018) and have rapidly grown to include a network of 10 GP practices each caring for between 4,000 and 12,000 patients, with 40 Employed GPs. We offer our GPs a competitive remuneration package based on the BMA GP Contract with additional incentive payments and further allowances for GPs providing specialist skills and leadership roles. Do you want to come and work as a GP in beautiful Somerset? Are you interested in a GP career that gives you the benefits of traditional General Practice but without the risks? Do you want to work in a practice committed to personalised care and high quality, but with the advantage of being part of a network of practices supporting each other? Are you interested in a GP role that gives you leadership opportunities and career progression? Do you want your pay to be guaranteed and reflect your skills and commitment? Are you interested in working with other clinicians to provide Primary Care through a wide multi-disciplinary team? Do you want to work for a group of practices committed to education and research? Are you interested in flexible working arrangements, remote working from home, portfolio working, and variable work commitments? Do you want to be part of an NHS General Practice organisation committed to innovation and redesign of General Practice and exciting to work for? If your answer to these questions is yes, then come and join Symphony Healthcare Services at Martock and South Petherton Surgeries. Please apply using the application form on this page and send to sue.oliver@ydh.nhs.uk.